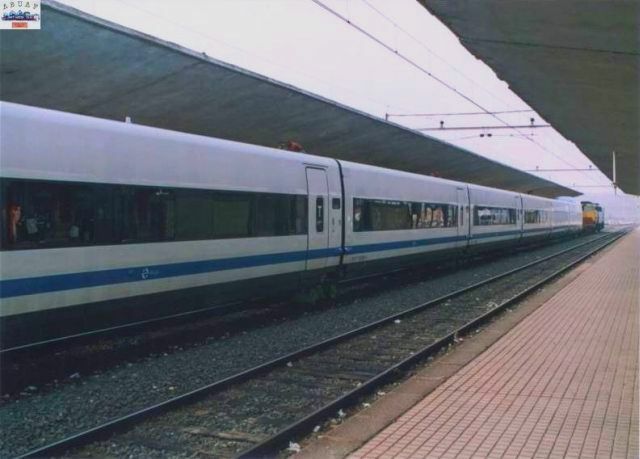 AVE 102 004 set, seen in Burgos, on the way from the Talgo Factory in Ribavellosa (close to Miranda de Ebro) to the Talgo Workshops in Las Matas (Madrid). 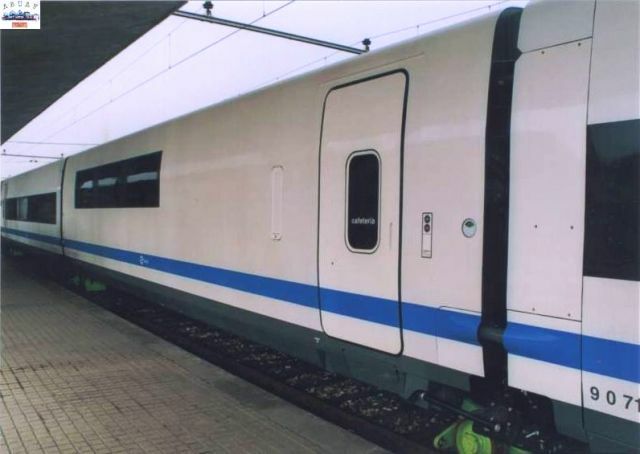 Streamlined articulation between those 2 AVE-102 300 Preferente-class cars. The 25kV-line is also well in evidence. 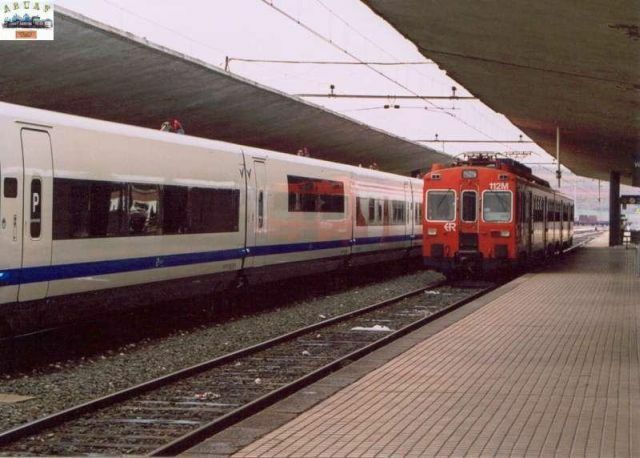 Couplers between a end car (either AVE-102 102 or 702) and a conventional freightload wagon. 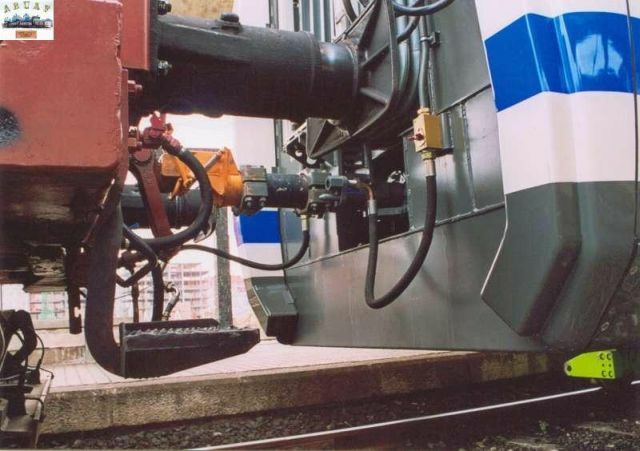 The latter is used to help the Class 333 loco with braking the whole train, as brakes of AVE-102 cars do not work whenever these are mounted on diplories. End/Club-class car of AVE 102 002 set (Car AVE-102 102), seen in Burgos, on the way from the Talgo Factory in Ribavellosa (close to Miranda de Ebro) to the Talgo Workshops in Las Matas (Madrid). 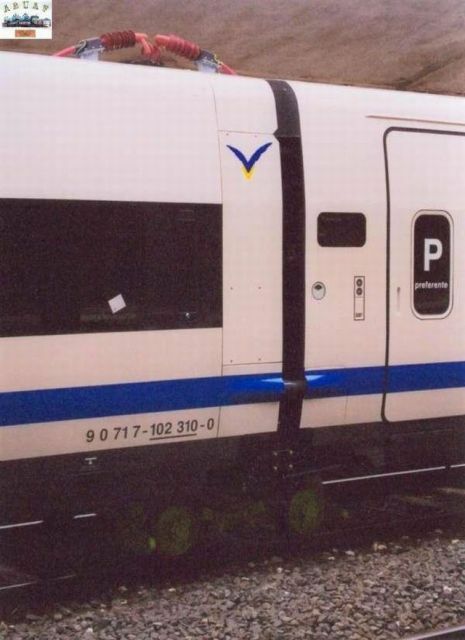 One can see that this car has a vestibule, which is reportedly not to be used by passengers, though. 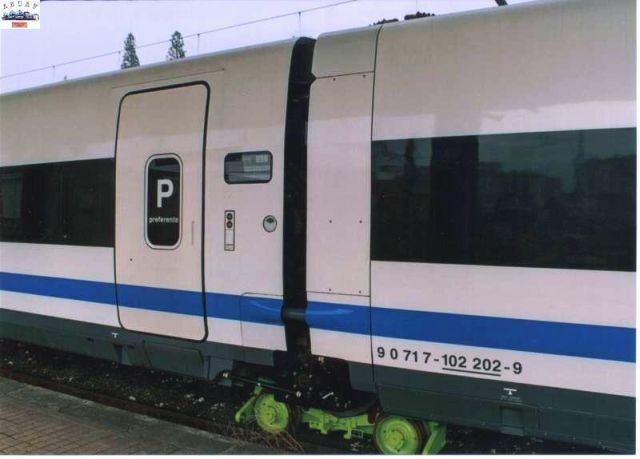 Opposite End/Turista-class cars (Class AVE-102 700) are conversely devoid of vestibule. This car presumably has 24 seats (2+1), and a 6-seat conference room. 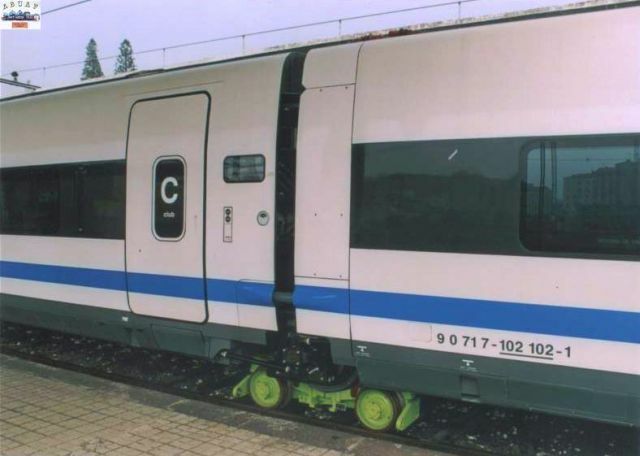 Club-class car of AVE 102 002 set (Car AVE-102 202), seen in Burgos, on the way from the Talgo Factory in Ribavellosa (close to Miranda de Ebro) to the Talgo Workshops in Las Matas (Madrid). This car presumably has 21 seats (2+1), together with dedicated galleys. 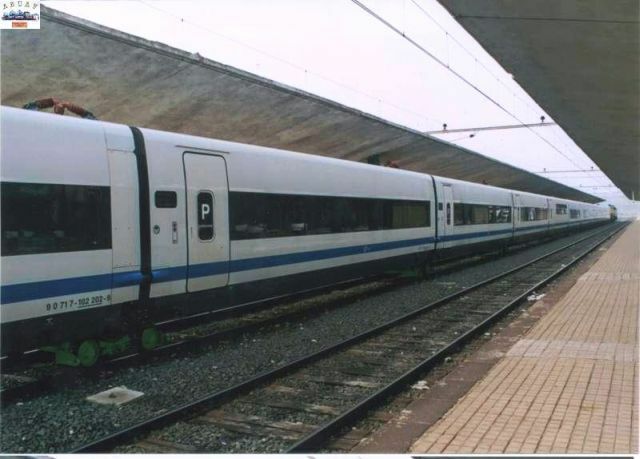 Preferente-class car of AVE 102 002 set (Car AVE-102 304), seen in Burgos, on the way from the Talgo Factory in Ribavellosa (close to Miranda de Ebro) to the Talgo Workshops in Las Matas (Madrid). This car presumably has 27 seats (2+1). 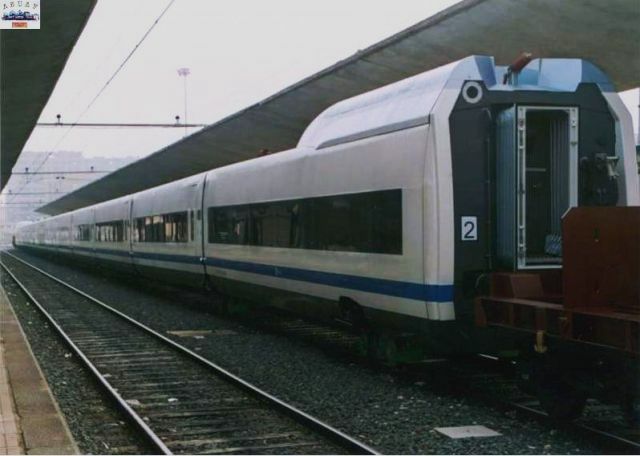 Cafeteria-car of AVE 102 002 set (Car AVE-102 402), seen in Burgos, on the way from the Talgo Factory in Ribavellosa (close to Miranda de Ebro) to the Talgo Workshops in Las Matas (Madrid). 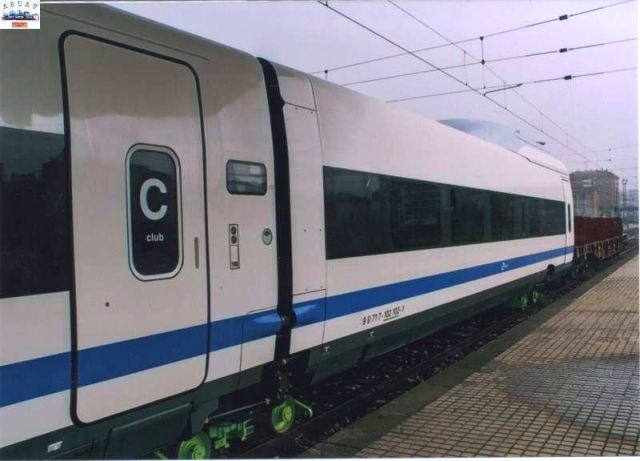 As Club- and Preferente-class passengers will have at-seat catering "offered", this car will be mostly used by Turista-class passengers. AVE logo and brand are to be added on the large while area. 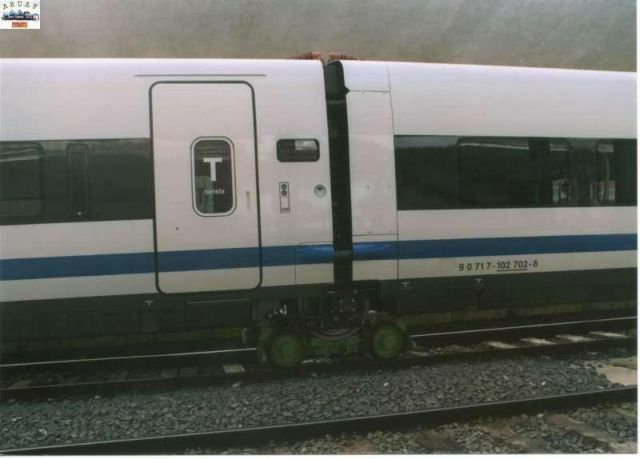 Accessible Turista-class car of AVE 102 002 set (Car AVE-102 502), seen in Burgos, on the way from the Talgo Factory in Ribavellosa (close to Miranda de Ebro) to the Talgo Workshops in Las Matas (Madrid). 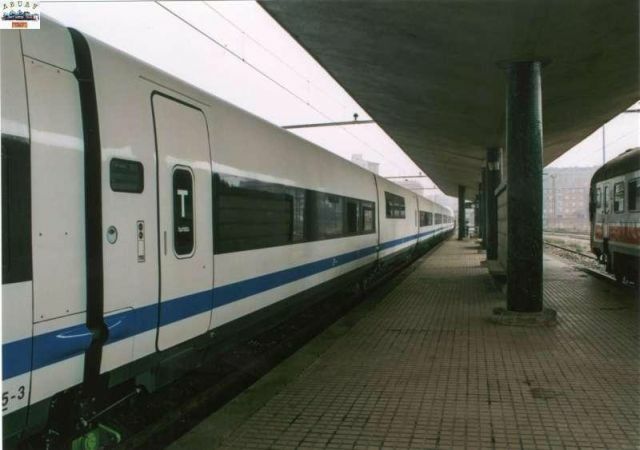 Turista-class car of AVE 102 002 (Car AVE-102 608), seen in Burgos, on the way from the Talgo Factory in Ribavellosa (close to Miranda de Ebro) to the Talgo Workshops in Las Matas (Madrid). This car presumably has 36 seats (2+2). 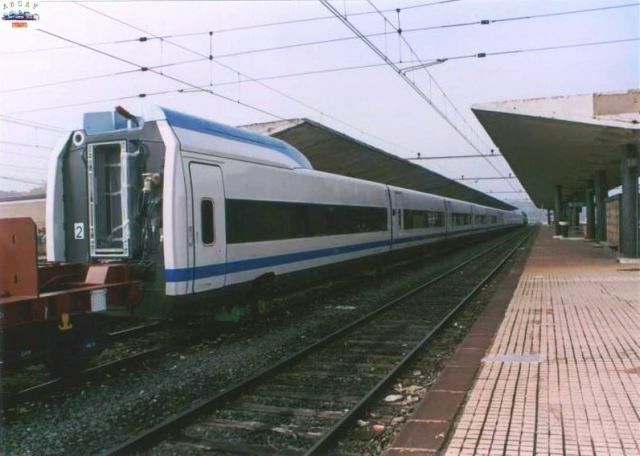 End/Turista-class car of AVE 102 002 (Car AVE-102 702), seen in Burgos, on the way from the Talgo Factory in Ribavellosa (close to Miranda de Ebro) to the Talgo Workshops in Las Matas (Madrid). This car presumably has 30 seats (2+2).